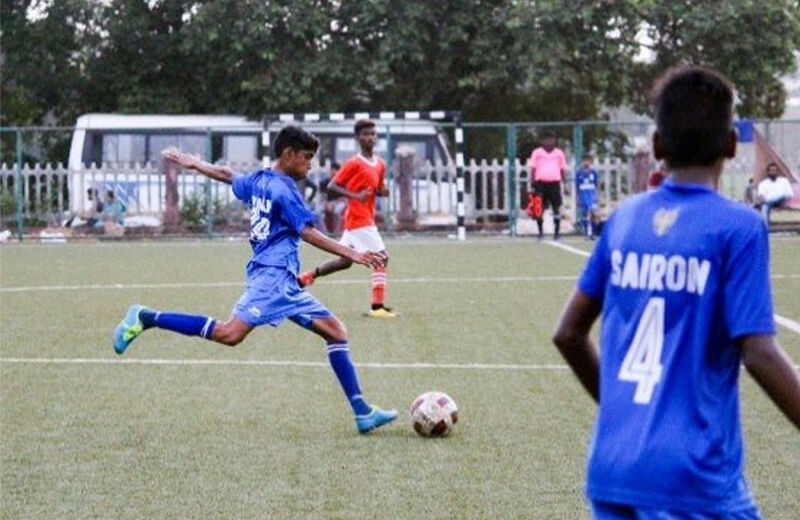 Dempo’s relentless pressure finally paid off as they scored two goals in the last five minutes to beat Sporting Clube de Goa 2-0 and enter the state finals of the GFA U-14 League in a match played at the artificial turf at Fatorda. Dempo started the game in an attacking frame of mind and could have taken the lead as early as the 8th minute when Dwayne Neto’s powerful shot from outside the box went just wide of the post. Two minutes later Neto had another chance to give Dempo the lead however his tap in was brilliantly saved by the Sporting keeper. Aman Kumar then saw his shot hit the post and Shreyash Naik missed a sitter as Dempo created a flurry of chances but failed to find the back of the net. 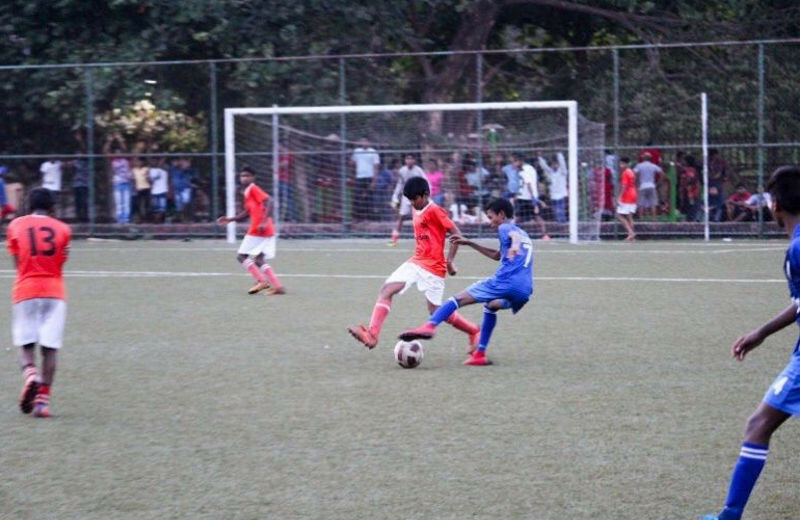 In the second half Dempo continued to raid the Sporting goal with Dwayne Neto, Rohit Shirodkar and Sherwin Abranches creating havoc in the Sporting defense however the goal continued to elude the Golden Eagles. Fifteen minutes before the final whistle an inspired substitution by coach Remus Gomes who brought in Asmon Viegas turned the tide in favor of Dempo. With just five minutes left before the final whistle Rohit Shirodkar put in a brilliant through ball to Asmon who cut past two Sporting defenders with his first touch and brilliantly placed the ball in the far corner. Two minutes later Dempo doubled their lead through Shreyash Naik, who dribbled past two defenders to slam the ball home after being set up by super sub Asmon Viegas. Dempo now play Salgaocar FC in the final at Duler Stadium on Sunday.